When you think about the United States Mint at San Francisco, your mind likely draws images of proof coins and sets that it has made for decades. 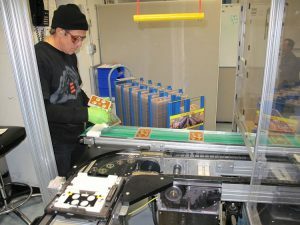 When I was given an opportunity to visit any one of the four U.S. Mint’s production facilities, those images and the lure of the SF Mint’s history of collectible coinage proved irresistible. But more goes on there than producing coins. 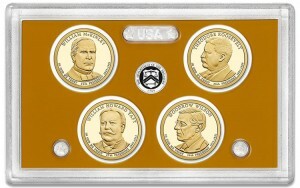 I know many collectors care about how their coins are packaged. That wasn’t me. I never gave a thought as to how they got inside lenses for proof sets. That’s changed. 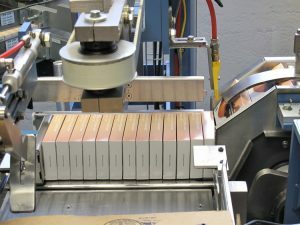 Don’t get me wrong — I still wouldn’t sweat it if a new proof set arrived mangled as long as the coins were okay — but now I have a new respect for what surrounds the coins after seeing the packaging operation at the San Francisco Mint. It’s pretty nifty really. 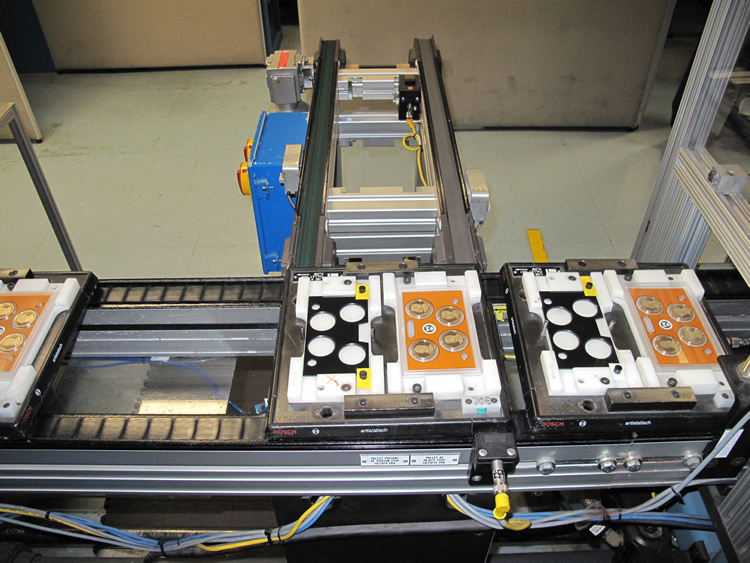 An empty lense travels on a conveyor belt like a train on tracks, making multiple station stops to pick up coins. At each mechanized station, a proof coin is scanned, plucked from a tray by a robotic arm and gently placed on the bed of an open lense. It’s all very fast. 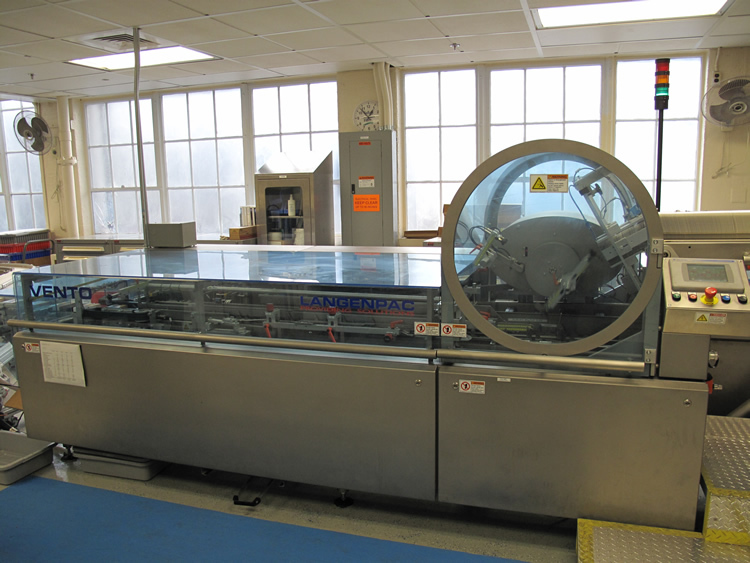 So fast that the SF Mint’s automated packaging line is capable of producing 80,000 lenses per day. 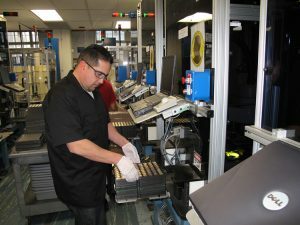 Further below in this sixth article describing my tour at the San Francisco Mint, there is a section detailing some of the quality assurance measures and equipment used by the Mint, like the device that analyzes the metallic composition of silver blanks to make sure they’re within specs for coins. This QA section offers more description above and below each photo than typical. 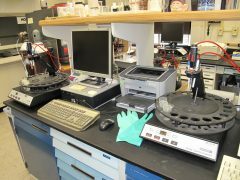 Before getting to all the photos, I want to again thank everyone at the SF Mint for their time and generous hospitality. A special shout-out goes to Tanya Jones for guiding me through the automated packaging rooms and to Loretta Dickerson for showing me the layers of quality assurance. 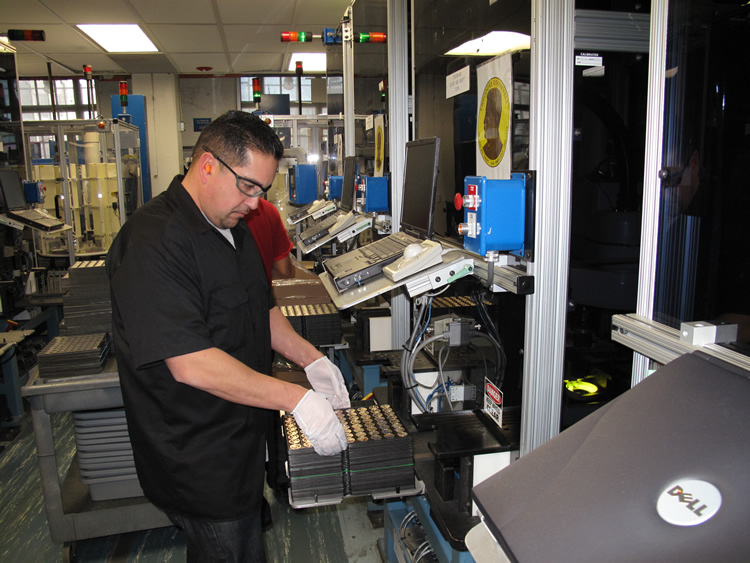 On the day of my visit, the packing line was placing proof Presidential $1 Coins into lenses. 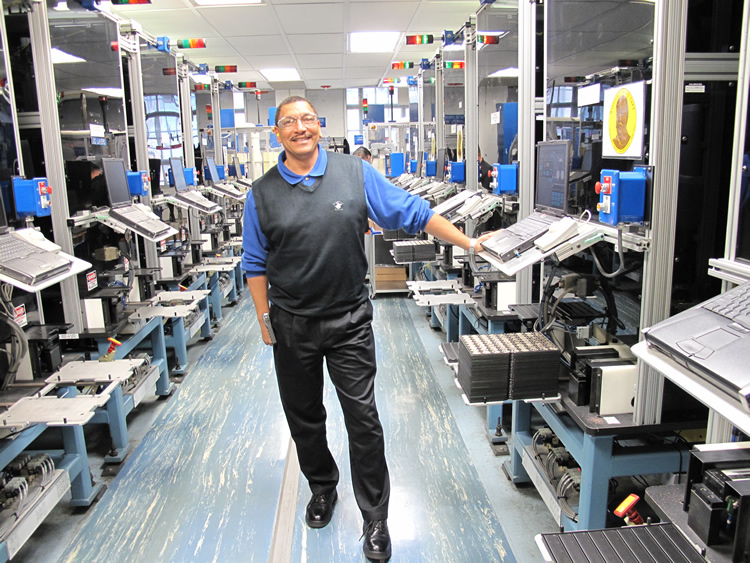 Don Bishop, shown below, is currently standing beside one of the stations with Taft $1s that the conveyor belt with lenses stops by. The conveyor system is actually inside the glass area with the stations surrounding it. 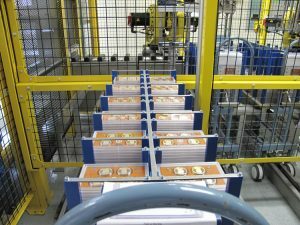 This photo is taken inside the packaging line, behind one of the stations and within the outer moving conveyor belt. The robot arm is about to grab one of the proof Presidential dollars and place it into an empty lense position. 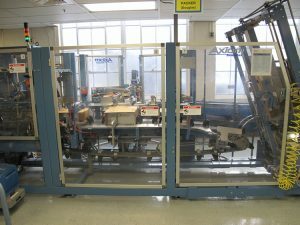 Here, a dollar that was picked up with reverse suction is about to be placed. Now, the other half of the lense enters the picture. Shortly, the lense is about to automatically snap shut. 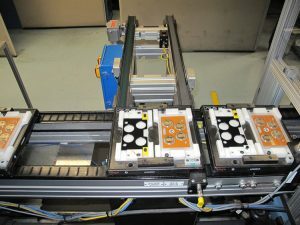 The end of the line, the lenses are moved onto a cart. 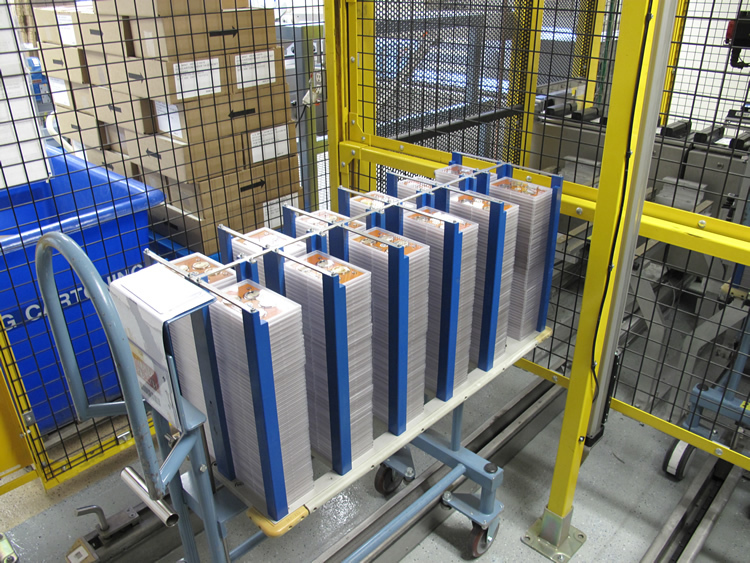 When the cart is filled, it’s moved to the cartoning room to get placed into proof set boxes. 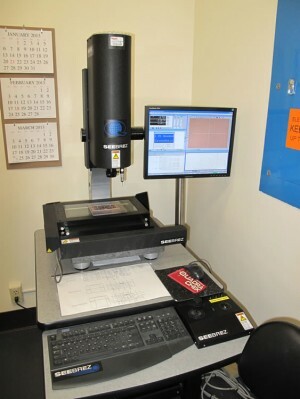 You have to watch your step in the room with the machine cartoning lenses. There’s a line you shouldn’t cross and I did. It was censored and suddenly the equipment turned off. It’s a good thing I was a visitor as I would have earned the newbie award. The cartoning machine is REALLY big and long. It was handling clad 2013 Proof Sets while I was there. This machine takes the various needed lenses and automatically packages them into the colorful boxes. 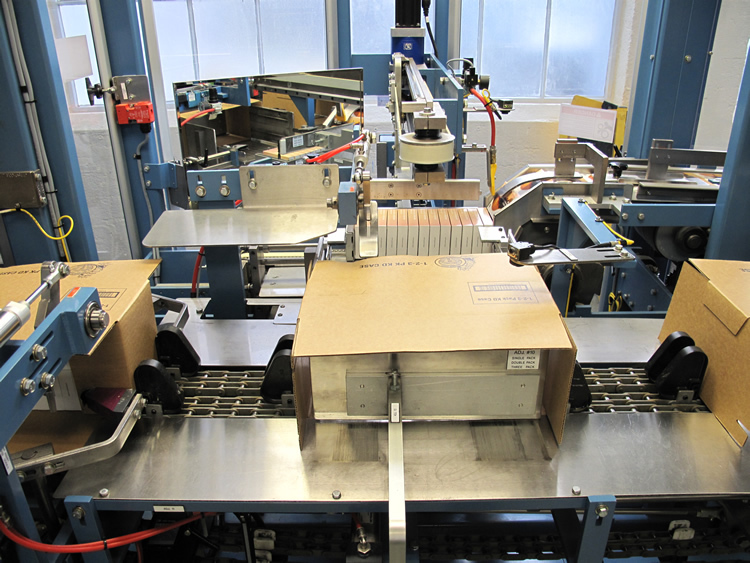 Further down the line, it groups proof set boxes together and automatically packs them into cases for shipping to the Mint’s distribution center. I kind of missed the photo shot here, still dazed and embarrassed by my earlier misstep. 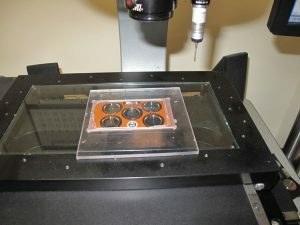 In the center you can see a small part of a robotic arm. There are actually two large ones. These grab the lenses to set them on their way. 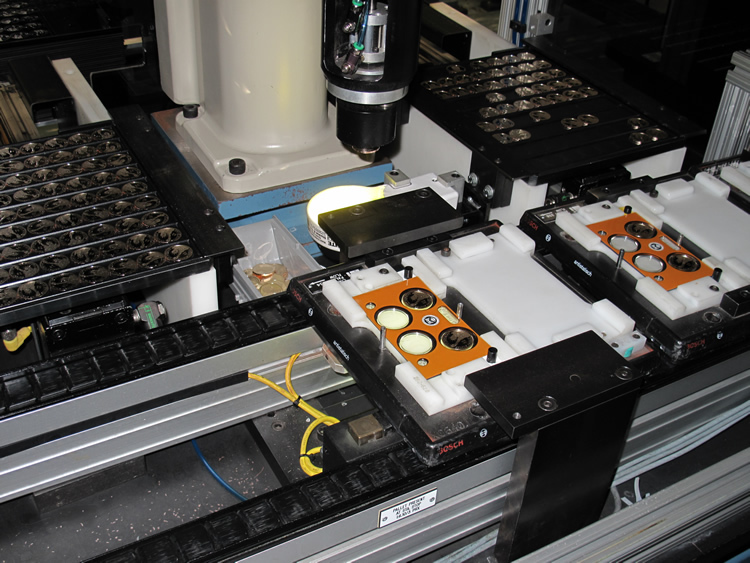 Here, the main "guts" of the machine sort and slide the lenses into the cartons. 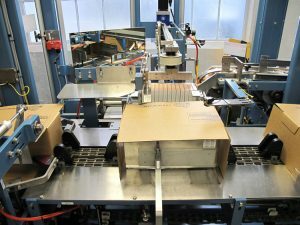 It actually has its own built-in quality assurance system that rejects cartons with missing lenses or those that don’t close properly. 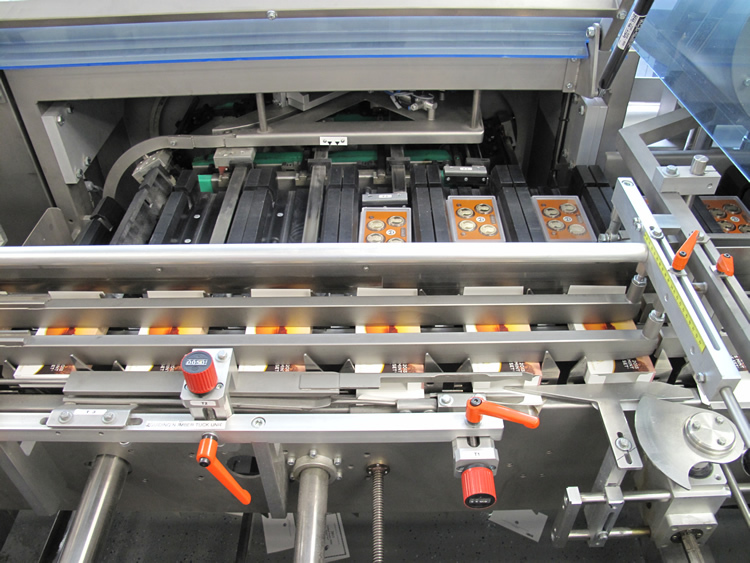 Directly below this photo is another that shows the inner workings. 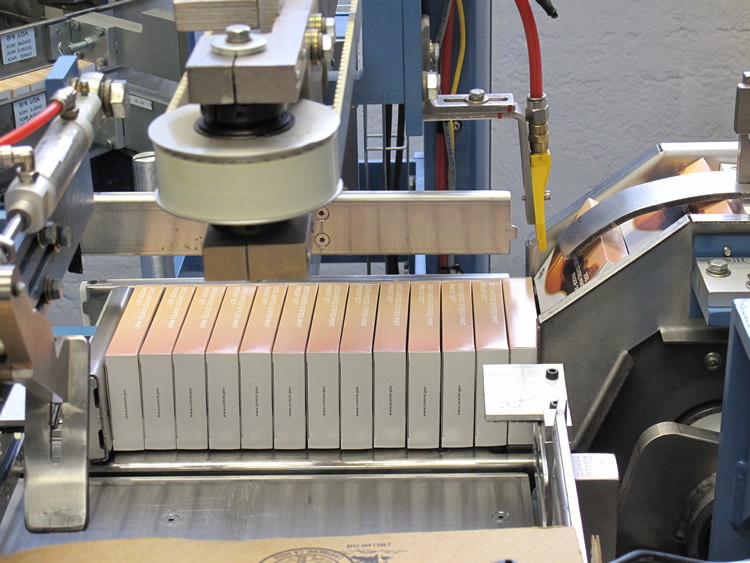 Once cartoned, proof sets are boxed up for shipping to a distribution center. It all happens automatically. Quality assurance processes put in place at the San Francisco Mint monitor many aspects of coin production, and from the very earliest of stages. 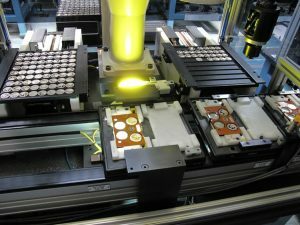 As an example, the SF Mint does not manufacture any of the blanks used to produce coins — they come from outside sources, but it does make sure they are to specifications. 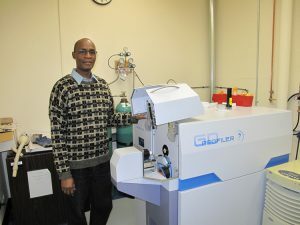 Part of that job falls to Micky Fernandes, PhD Metallurgist. 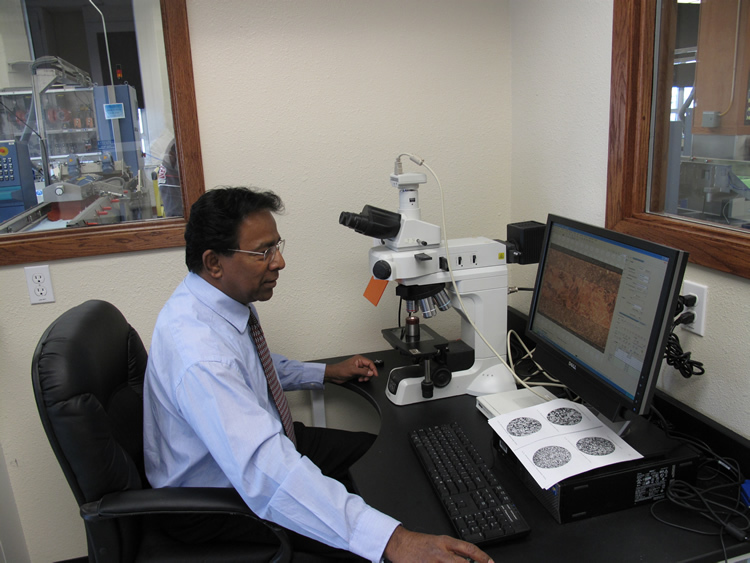 Here, Dr. Fernandes is studying a cross section of a coin blank to make sure it’s within tolerance. 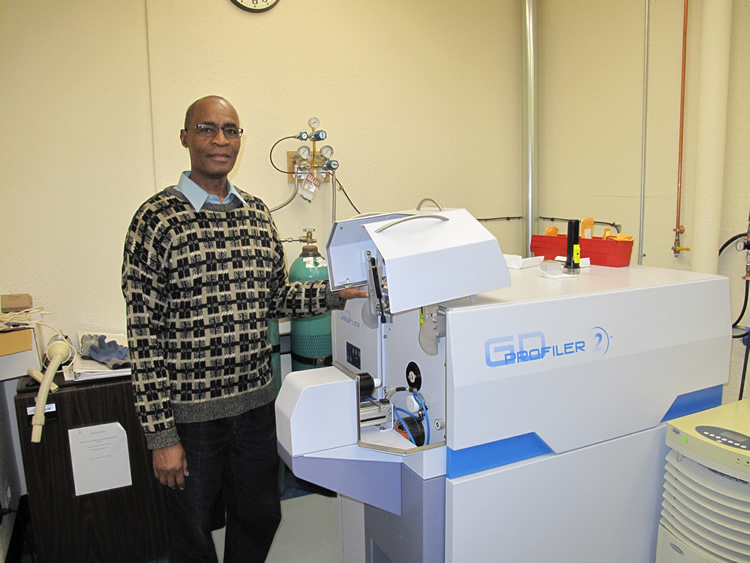 Below, Jonathan Okorley shows how the GD-Profiler 2™ analyzes the content of a silver coin blank to quickly verify its purity. First, a small section is cut from a silver blank and rolled until it looks like a thin stick of gum. 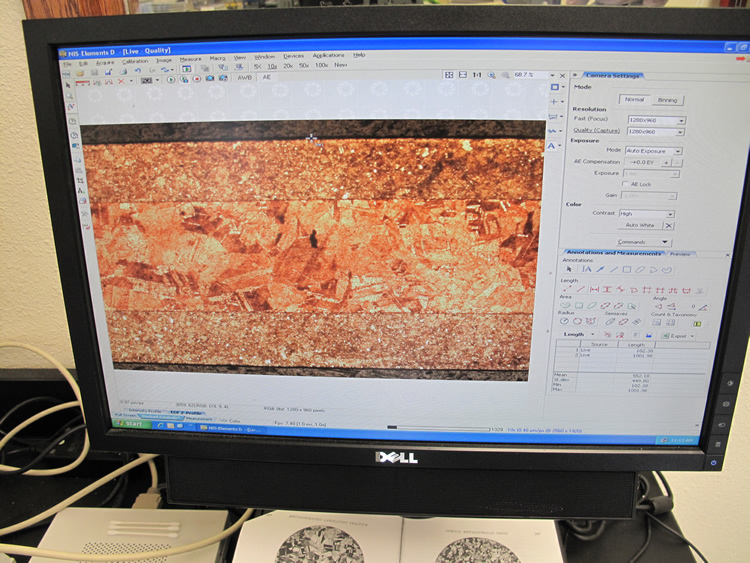 The thinned metal is placed inside a compartment of the profiler which then automatically analyzes its composition. Unfortunately for Jonathan, he doesn’t get to keep the leftover silver scraps. 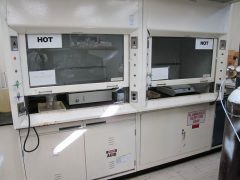 Earlier in the day I saw them stored in one of the many vaults under the SF Mint. 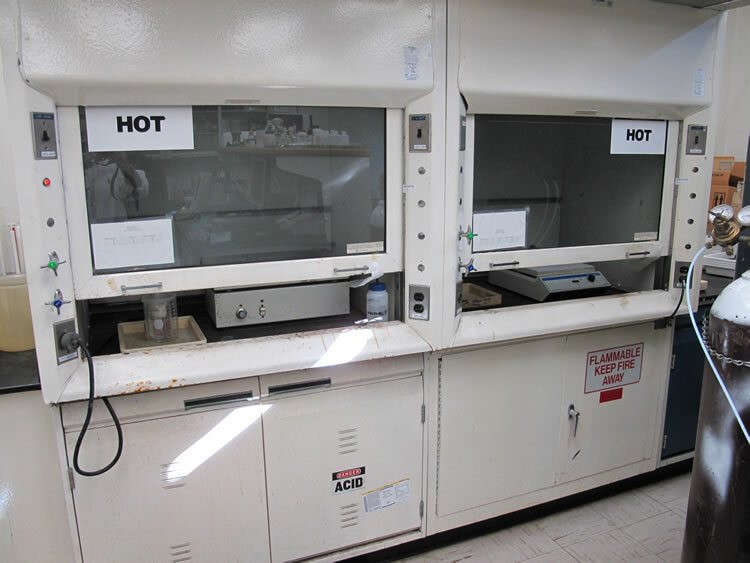 While still available as a backup, newer and cleaner technology, like the profiler above, has replaced the need for the chemical analysis and venting equipment shown below. Also outsourced by the SF Mint are the plastic lenses that hold the proof coins. Those that are not produced to exacting measurements can cause havoc in the automated packaging process and result in proof sets with ill-fitted coins. 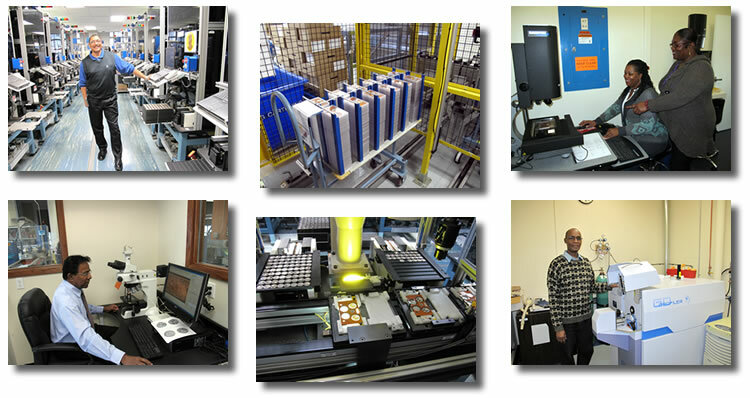 Samplings from the pallets of lenses received by the Mint are always tested. 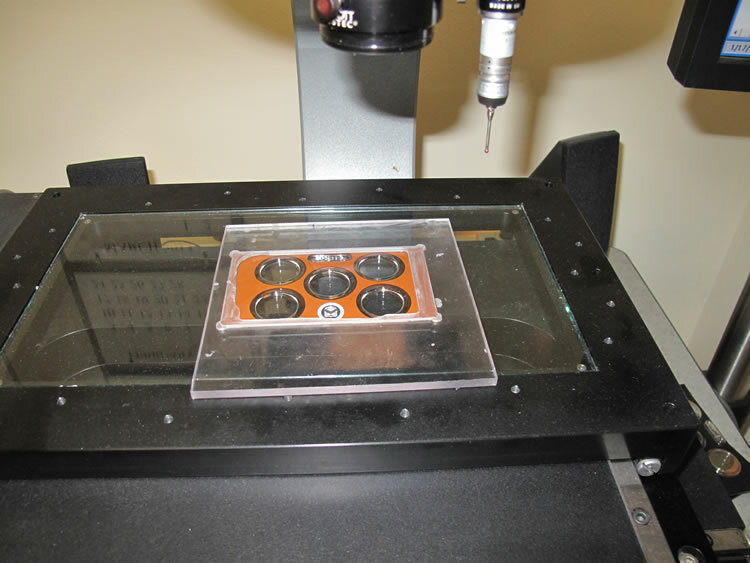 This 3D vision system with accompanied software measure lenses to the tiniest detail to make sure they are in compliance with specs. 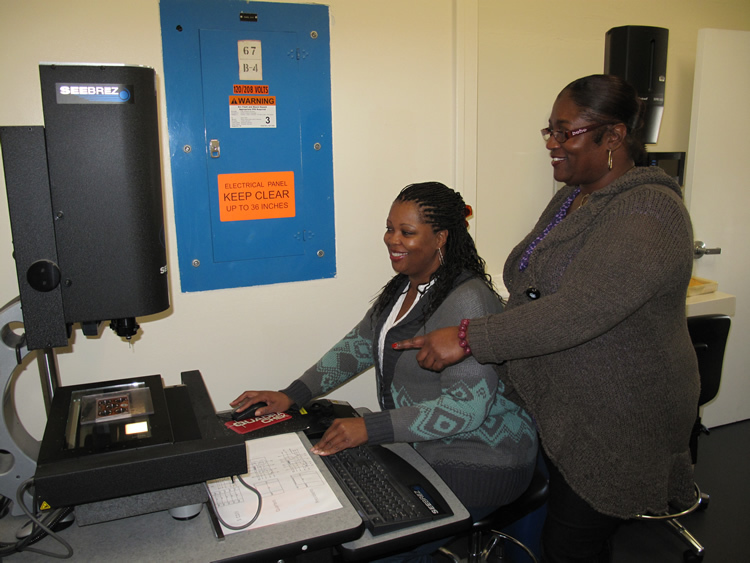 There’s no doubt that LaTonia Johnson and Loretta Dickerson really enjoy their jobs. 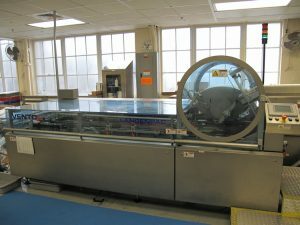 Johnson and Dickerson operating inspection machine. Thank you very much for keeping up with this series. Please return Friday, May 3, for the final article describing my visit to San Francisco Mint. I’ll have some final thoughts about the trip, and I’ll include a larger layout of all the SF Mint photos. Now I see why their coins have such great quality.